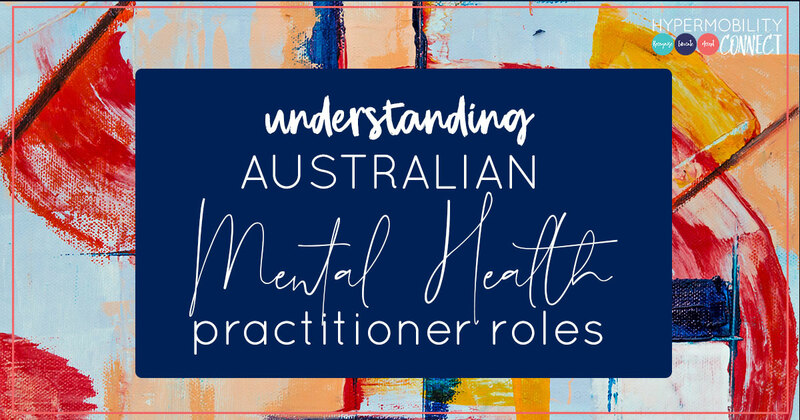 There is much confusion among the patient (and sometimes the health community) about what mental health practitioners roles are – who does what, how and when. Am I right? I mean, what do mental health professionals do? Here is a little guide from my Occupational Therapist perspective! Psychiatrists are medical doctors with additional training in psychiatry. In Australia, they undergo extensive training on top of the usual degree-training to become a doctor, which allows them entry into The Royal Australian & New Zealand College of Psychiatrists (RANZCP). Some Psychiatrists will also offer a range of psychologically based therapies such as psychotherapy, as an adjunct to psychopharmacology (prescribing medication). There are many different types of psychological approaches from psychodynamic therapy to interpersonal therapy, acceptance and commitment therapy to dialectical behaviour therapy. Generally speaking, and this is a generalisation, psychiatrists are more likely to use the psychotherapies (psychodynamic & cognitive behavioural therapy) if anything at all and leave things like ACT, DBT, EMDR to psychologists. All Psychiatrists must be registered with AHPRA to practice in Australia. All psychologists in Australia have a minimum level of training, and those with endorsements as listed above (other than general) have usually undertaken additional university training and supervision in that area. All psychologists MUST be registered with AHPRA to practice in Australia. 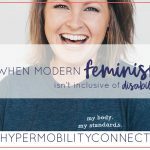 In the context of hypermobility conditions, most people would either encounter a general psychologist, a clinical psychologist or a health psychologist, but may come across psychologists with other endorsements. Psychologists can help with a range of issues from talking problems through, to couples therapy, specific interventions for depression, anxiety, trauma. They can teach you coping strategies both for everyday situations, e.g. stress, and more distressing situations, e.g. phobias. Pain management, interpersonal relationship and social skills, acceptance, mindfulness, emotional regulation – they all fall into the realm of psychology. If nothing else, psychologists provide a confidential* place to go and talk about how you’re feeling, how you’re coping or not coping, and what’s going on for you. Some people call that talk-therapy, others call it debriefing, while others feel that is “counselling”. It’s a safe space where you can say whatever you want*, without fear of judgement or worrying about burdening the therapist, or hurting their feelings, offending them etc (obviously, abusive behaviour is not OK, ever!) Whatever you call this type of therapy, if it’s helpful to you, then do it! 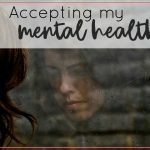 We were never made to live in isolation, and we are definitely not expected to carry the burden of a chronic illness on our own. *There are certain circumstances under which a psychologist, psychiatrist, GP, social worker, counsellor, OT, may not keep what you have told them confidential, and they must outline this to you before your first session so that you fully understand what is and isn’t bound by confidentiality. This includes but is not limited to threats to your own safety or that of others. Better Access to Mental Health Care scheme (BAMH) which is organised through your GP, there is often still a co-payment involved in seeing a psychologist this way. Pay completely privately and not receive a rebate. There are sometimes psychology services available through local community health services (or hospital outpatient departments), however, waiting lists are usually very long, and sessions are limited. They use similar interventions to psychologists and mental health trained occupational therapists. More and more, accredited Mental Health Social Workers are appearing and working alongside psychologists in private practices, as well as hospitals and community settings as their value in the mental health counselling space is becoming more recognised. However, Social Work is not regulated by the Australian government (not members of AHPRA). The Australian Association of Social Workers is the overseeing body, of which social workers are encouraged, though not obliged to be members in order to practice. You can see an Accredited Mental Health Social Worker through the Better Access to Mental Health Care scheme (BAMH) which is organised through your GP. Pay privately to see a Social Worker and receive no Medicare rebate. Check with your health fund to see if they cover Social Work consultations. All occupational therapists must be registered with AHPRA in order to practice in Australia. Pay privately and not receive a Medicare rebate. You may be able to claim a rebate from your private health insurance if you have cover. In Australia, “Counselling” as a profession is not a regulated industry. That means that counsellors don’t have to be registered with any governing body in order to call themselves a counsellor. Most counsellors will register with one of the bodies, but there are multiple which makes it very confusing. There are the ACA and PACFA, then there is also the ARCA register. None of these is governed by the Australian government. That means you need to do your research, ask around for recommendations and check out people’s qualifications before embarking on a therapeutic journey with them. There are many VALUABLE counsellors out there from art therapists, psychotherapists to somatic therapists. The work they do can be amazing, if they are suitably qualified and experienced. Don’t discount the value they can bring to your journey with a chronic illness, but just be appropriately wary of reputability. Specialist Mental Health Nurses are a valuable part of the mental health professional community, often providing wonderful support to people in times of crisis and great vulnerability. They work across all settings, from public and private hospitals to community and the private sector. They provide support by means of medical, physical, emotional and social supports. They are the mainstay of psychiatric wards all across our country, as well as outpatient units, community and crisis teams, and are often now employed in more diverse roles including online programs e.g. eHeadspace. Mental health nurses aren’t someone you’re going to call and make an appointment with, but you may come across them if you’re in touch with other mental health services in your community. Where would we be without our nurses? These plans are generally written by your GP. However, Psychiatrists are able to set up the plan as well. You are initially given 6 visits, then are required to go back to the referring doctor for a review before potentially getting 4 more sessions. 10 is the total that can be used in the 12 month period. They don’t all have to be used with the same provider. Let’s say you’re referred to provider A and you have a couple of sessions and it’s just not the right fit, you can go back to your referring doctor and have the plan changed into the name of another provider, but you will still have to have a review of your plan after 6 visits for your remaining 4 to be activated. There is another Medicare initiative most commonly referred to as an EPC which allows for 5 rebated allied health visits in a year. You are eligible for this when you are seeing more than 2 health professionals to manage your complex condition. You and your GP decide how you allocate those 5 sessions across the different fields, but you can use them for OT, psychology, social work, physiotherapy etc.